Thanks to Patzi Gil at the Joy on Paper Radio Show. Very glad to be back discussing my new book in such great company. The word “Joy” has always meant so much to me — and so I feel a special connection to Jonathan Santlofer because his wife’s name was Joy. 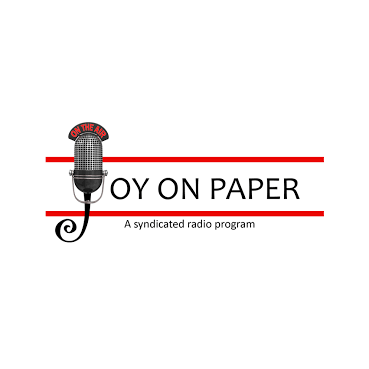 Jonathan has been a guest on Joy on Paper several times and it was an honor to have him back on the program to talk about his latest book, The Widower’s Notebook. It is a very heartwarming and lovely tribute to his wife, Joy Santlofer, a wife, a mother and the talented author of Food City. There is healing in remembering and in sharing life’s difficult moments. As always, Jonathan has written a compelling book. This entry was posted in Interviews and tagged Joy on Paper, Joy Santlofer, The Widower's Notebook. Bookmark the permalink.